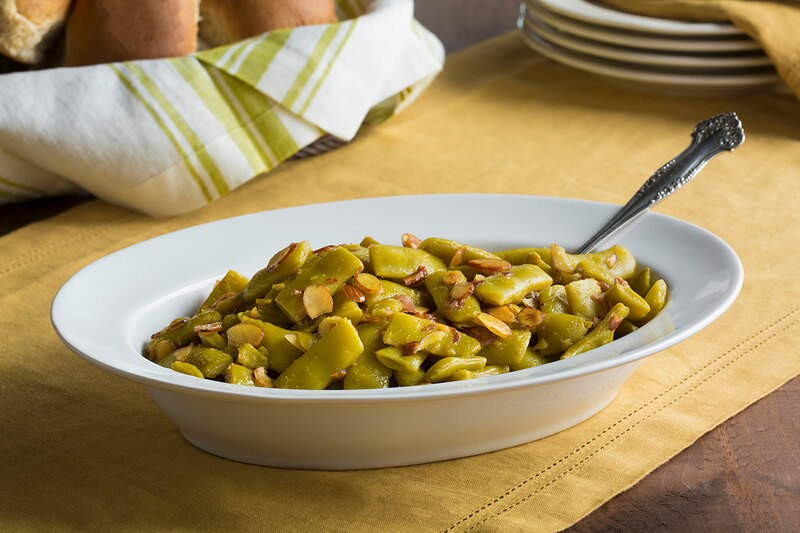 These tender green beans with buttery browned almonds will be your “go-to” recipe when you want to make something special but don’t have much time. Melt butter in a large skillet over medium-high heat. Add almonds and cook 1 to 2 minutes, stirring constantly, until deep golden brown. Remove from pan and set aside. In same skillet, stir in beans, Worcestershire, lemon juice, garlic powder, salt and red pepper flakes; cook over medium-high heat about 5 minutes or until liquid is evaporated, gently stirring occasionally. Sprinkle with almonds before serving.